If you want to stock amazing Homemade Bliss™ cakes, tarts, brownies and slices, read on! Our cakes are the best. We love seeing them in as many cake cabinets as possible, but you won’t find us in every single café you visit. We like to take care of our stockists by ensuring quality and service remain our top priorities rather than volume. If you think your business would be a great fit for our products, we’d love to hear from you! Please send us your details and we’ll be in touch to see how we can work together. we’ve got something innovative for them. We guarantee whatever you buy. It’ll be so good that people without dietary restrictions will be desperate to eat it too. We pride ourselves on cakes with cutting edge flavour combinations suitable for all manner of dietary requirements. There’s the individually and lovingly hand-pressed coconut crust. That creamy filling with the perfect balance of sweetness and fragrant, zesty lime. Oh, and they just happen to be gluten free, made from Faith’s special recipe which changed gluten free pastry for good. These little wonders put Homemade Bliss on the map and they’ll do it for your business too. Every place that stocks them has a cult customer following who come back for more every single week. 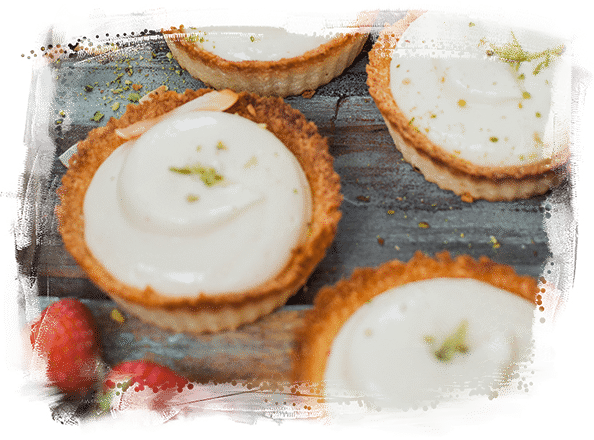 Your customers will love indulging in something which is allergen friendly and made to meet the highest standards, without ever feeling like they’re missing out. If you haven’t tried them yet, what are you waiting for?